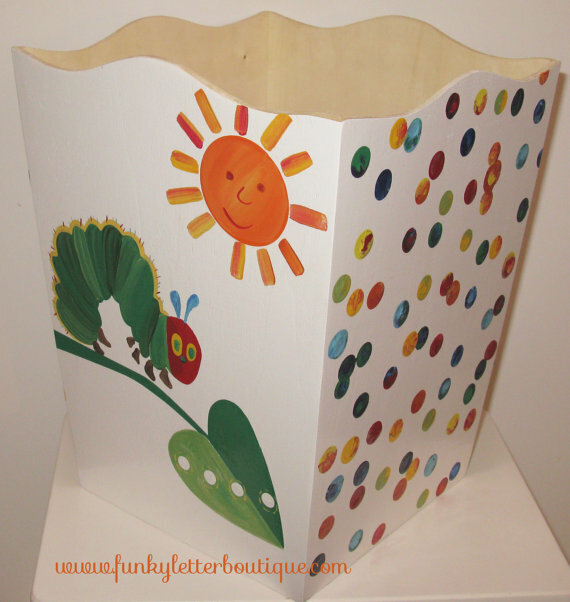 This darling wooden wastebasket will coordinate perfectly with your Very Hungry Caterpillar room decor. What a great way to really personalize a room with a one of a kind item! Three sides are covered in adorable Very Hungry Caterpillar Colorful Polka Dots, and the main side has the cute little caterpillar, sun and leaf.